Welcome to The PredatorPee®.com Store ... and the Fastest Shipping in the Pee business! Want to Wander Around the PredatorPee World?  What Do You Need to Protect? You’ve Got Questions? - We’ve Got Answers!  How Do You Get It?  How Does it Work?  What if it Rains? Mix 'N Match & Save $2 per hat when you buy 3 or more any size or color combination - Discount calculated at Checkout! Made in USA for Over 100 Years! Authentic Rolled Wool Maine Crusher Hats. Hunter Green, Traditional Red, Blaze Orange, or Midnight Black. MEDIUM (US hat size 7 1/8) - Fits heads that measure 21 7/8 inches to 22 1/4 inches. LARGE (US hat size 7 3/8) - Fits heads that measure 22 5/8 inches to 23 inches. 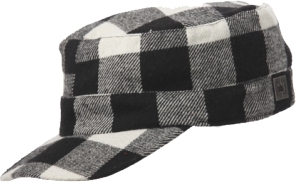 X-LARGE (US hat size 7 5/8) - Fits heads that measure 23 1/2 inches to 23 7/8 inches. 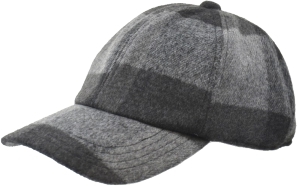 These rolled wool crusher hats are made of tough boiled wool felt and work great in any weather. You can fold it up, stuff it in your back pocket and pull it out when you need it. They keep their shape and definitely are way more than a fashion statement here in the woods of Maine. These wool hunting hats are perfect for anyone who loves spending time outdoors. You'll love this felt crusher hat! Order early, we ran through our inventory very quickly last year. Each Prices Shown - Save BIG on Multiple Purchases! FREE SHIPPING to USA and CANADA! Maine Garden Crushers provide sun and rain protection with style. The unique inner strap allows the 2 size options to adjust for a perfect fit for everyone. A great garden hat! 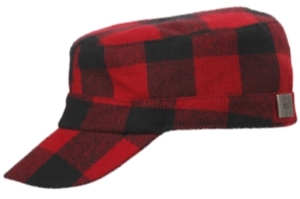 Maine Flannel Ball Cap Crusher. - has an adjustable strap so one size fits most. Soft, warm and comfortable! - all three have an adjustable strap so one size fits most. Sharp looking engineer style hat! Get Rid of Stinky Skunks! How do we Collect Pee? "I found you on google searching the original "crusher"... best hat I ever owned...Wife hates it I love it lasted 20+ years need a new one... going to try your bear guard on my 15+ year Red Wing logger boots"
"My dad used to wear these and hand them down to me when I was little. 25 years later I saw a picture of us both wearing them so I started looking. You guys are the only ones selling a true crusher hat anymore. Thanks for keeping an old memory alive." "Thank you folks for having a "Good old school" product that's made in the USA! Been wearing one of these since high school along with my black cut off pants and suspenders. We gypo loggers here in Idaho are appreciative!" 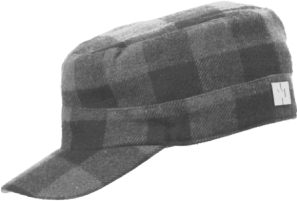 "I am THRILLED to receive my Maine [Crusher] Hats tonight in the mail. My Dad, who passed away four years ago, used to wear these hats working for Suburban Propane/Amerigas for 37 years! He would always brag that he could be in the pouring rain for HOURS and his head would never get wet! Beyond the Pee - We've Got More Unique & Useful Products From Maine!